Mira Zwillinger’s new collection for Fall/Winter 2019 is a huge departure from what we saw from the brand for the Spring/Summer season. Trading the crystals for lace appliqués, and exchanging short satin skirts for long flowing tulle trains, the new range is truly romantic. 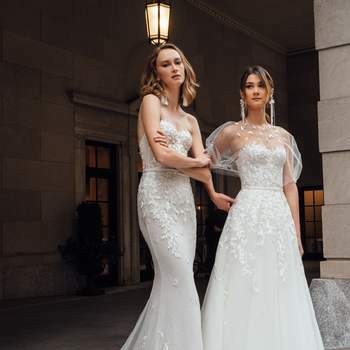 Mira Zwillinger is one of those designers who makes every woman feel like a million dollars in one of her dresses, and the new collection continues to show off this ability. And whilst her early 2019 collection is perfect for brides wanting to break boundaries, this new range is perfect for those who want to engage with tradition – but still look incredible whilst doing so! Made from the finest fabrics available, and designed to be tastefully revealing, these gowns are taken directly from a modern fairytale. 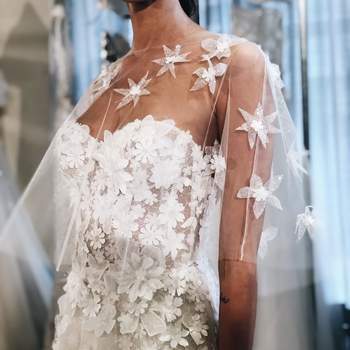 If you’re looking for a luxury wedding dress, then you are in luck for 2019. 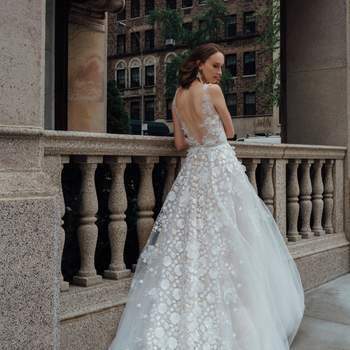 This latest collection from Mira Zwillinger is sure to make your guests and groom swoon, and make you feel like a princess too. 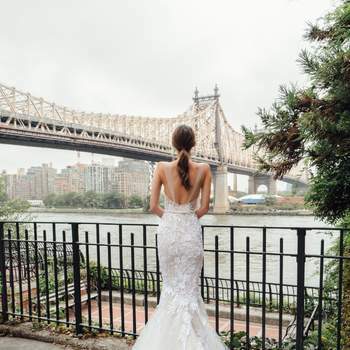 And if you’re looking for something a little more daring, then you can find similarly romantic gowns from Inbal Dror. Head to our wedding dresses section for inspiration aplenty, and find your dream dress today! Charla and Chaz. Credits: Mira Zwillinger.